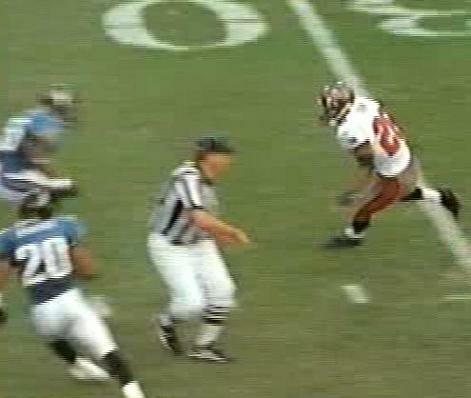 BUCS: Dunn 16-107, Alstott 16-48, Dilfer 1-2. 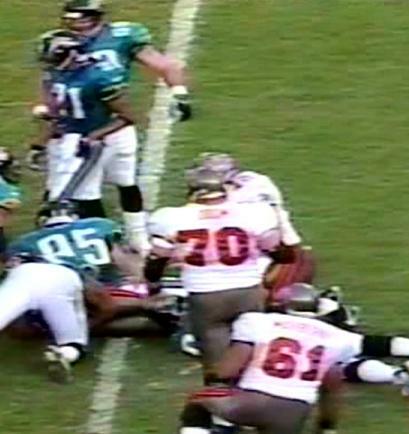 BUCS: Dilfer 23-9-189-2-3, Walsh 1-1-5-0-0. 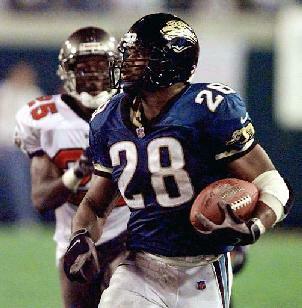 BUCS: Anthony 2-126, Dunn 2-14, Williams 1-26, Green 1-8, Thomas 1-7, Moore 1-7, Alstott 1-6, Emanuel 1-6, Davis 1-1. BUCS: Barber 1-8, Culpepper 1-6, Upshaw 1-4. 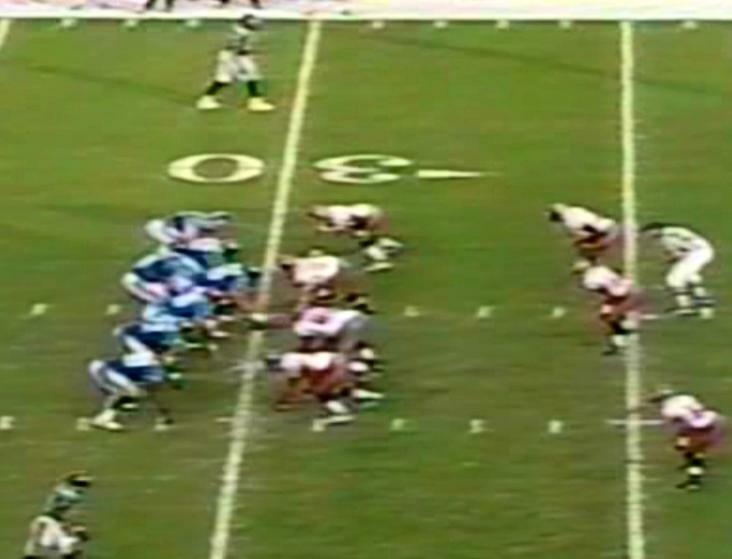 The Bucs' first trip north to inter-state rivals Jacksonville was a fruitless one as another big TD run made it two such losses in a row for the 1998 Buccaneers. Fred Taylor's run negated two big scoring strikes to Reidel Anthony and dropped the Bucs to 4-6 on the season. "It was one play, just one play" said defensive co-ordinator Monte Kiffin. "But it was just like last week. Two 70-yarders will kill you."